Pioneer Tech promises to prepare students for an LPN career in less than 14 months. Students can also attain certificates in long-term nursing care aide, medication aide, or CPR. In-district high school students pay no tuition to attend the program. Moore Norman promises zero student loan debt and has an impressive on-time adult completion rate of 93.5%. Students are required to attend clinical training in order to sit for the final exams. Upon successful graduation, students can work for local employers such as Integris Health and Advanced Correctional Healthcare. This 1,463-clock-hour program consists of 16 courses that cover both theory and clinical experience. Students must complete the program within 12 months in order to successfully graduate. The program’s class schedule is highly flexible, although students are required to clock a minimum of 16 hours per week. 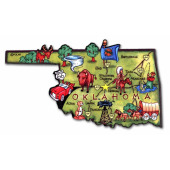 To help Oklahoma’s future nurses understand their options, we’ve compiled a comprehensive list of the state’s LPN programs. You’ll find them organized below by city, including their students’ NCLEX test scores where available.